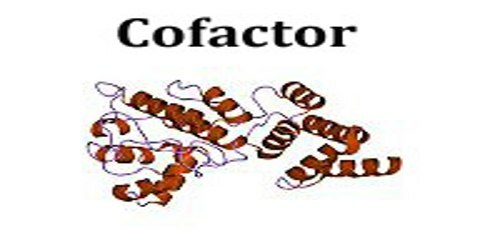 Cofactor in biochemistry is a substance, such as a metallic ion or a coenzyme that must be associated with an enzyme for the enzyme to function. Cofactors work by changing the shape of an enzyme or by actually participating in the enzymatic reaction. 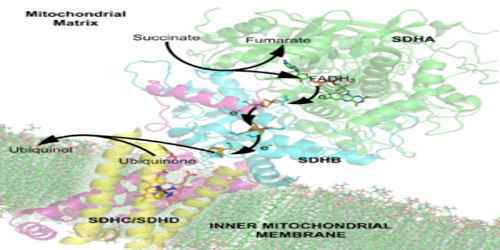 Cofactor catabolism is still an understudied area in cofactor chemistry and much research needs to be done to identify catabolic intermediates, the enzymes that catalyze the formation of these intermediates and the corresponding genes that encode these enzymes. Cofactors can be subclassified as either inorganic ions or complex organic molecules called coenzymes. A coenzyme is a small, organic, non-protein molecule that carries chemical groups between enzymes. It is the cofactor for the enzyme and does not form a permanent part in the enzyme’s structure. A cofactor that is firmly bound to the apoenzyme and cannot be removed without denaturing the latter is termed a prosthetic group; most such groups contain an atom of metal such as copper or iron. A cofactor that is bound loosely to the apoenzyme and can be readily separated from it is called a coenzyme. Coenzymes take part in the catalyzed reaction, are modified during the reaction, and may require another enzyme-catalyzed reaction for restoration to their original state. The cofactor is always preceded by a positive (+) or negative (-) sign, depending whether the element is in a + or – position. Cofactors are often classified as inorganic substances that are required for, or increase the rate of, catalysis. 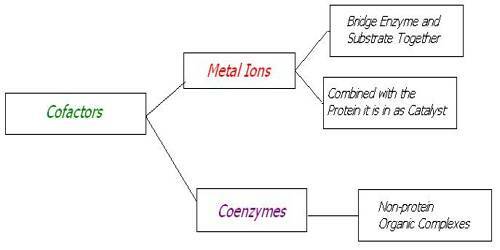 There are two types of cofactors: metal ions and small organic molecules. The latter of the two are also called coenzymes. A divalent metal ion (Mg2+) is needed to coordinate the phosphate groups on the ATP molecule in order for phosphofructokinase to successfully catalyze this reaction. Mg2+, Mn2+, Ca2+, and K+ often function as cofactors for metal-activated enzymes. Organic cofactors are sometimes further divided into coenzymes and prosthetic groups. The term coenzyme refers specifically to enzymes and, as such, to the functional properties of a protein. On the other hand, “prosthetic group” emphasizes the nature of the binding of a cofactor to a protein (tight or covalent) and, thus, refers to a structural property.